A collaboration of Pacific Power, Energy Trust of Oregon, and Clatsop Community College, has produced an excellent booklet on the energy efficiency for historic commercial buildings. The students and faculty of the College’s Historic Preservation Program provided the information for the booklet which showcases projects throughout the state. The Guide is available to view online or to download and is a valuable tool for historic commercial property owners, tenants and communities seeking to improve energy efficiency and preserve the historic qualities of these buildings. The City of Astoria has it own historic preservation awards, the Dr. Edward Harvey Historic Preservation Award, named after Dr. Harvey, who was instrumental in creating the historic preservation movement in Astoria. The award is presented each year to recognize property owners who have completed exterior restoration or beautification of a building which exemplifies the historical attributes of the building or the architectural heritage of Astoria. 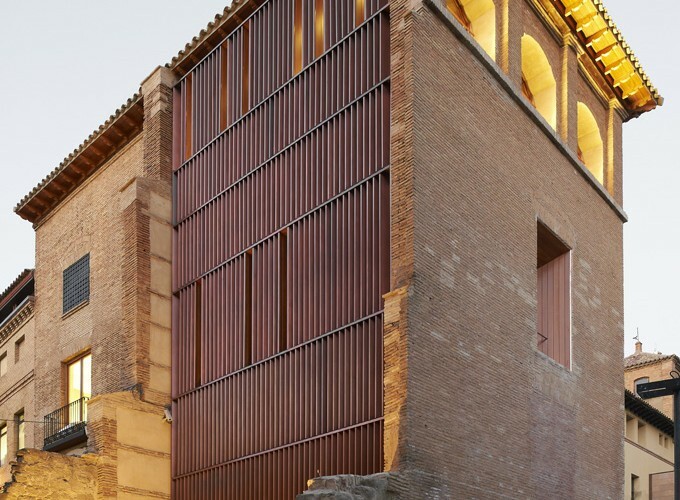 Of the three projects awarded this year, I was the architect for two of them. 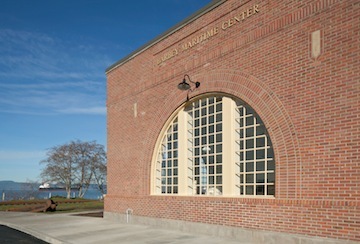 The Columbia River Maritime Museum won the institutional category for the renovation of the Astoria Train Depot, and Bob and Nancy Ross won the multi-family category for the renovation of the Finn Housa property. The classes will begain at the Barbey Maritime Center this may. They include boat building, knots, and native american carving. They are weekend classes so if you live outside of Astoria, make a nice weekend of it. You can actually do it by staying or eating at other historic renovation projects that I have worked on over the years, including the Hotel Elliott, the Commodore Hotel, Fulio’s Restaurant, Fort George Brewery, and the Schooner (now called T Paul’s Supper Club). The Astoria Train Depot has finished its journey from being a decommissioned train depot to the Barbey Maritime Center for the Columbia River Maritime Museum. The dedication took place on Jan. 25th, where public officials, the Barbey family, the CRMM Board, and the public were able to see the finished building. 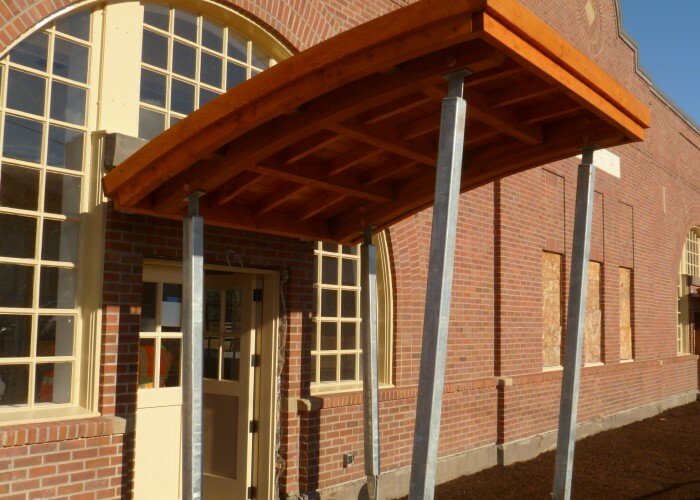 The entry canopy structures are completed. The metal roofing and the gutter between the roof and the building are the next steps. On the west side, the building sign is installed. The building is named the Barbey Maritime Center following a generous donation to the Museum by the Barbey family that have a strong history both with maritime activities on Columbia as well as Astoria. The citizens of Portland voted overwhelmingly to pass a bond measure that upgrades a number of Portland schools. It pays for some basic seismic upgrades on a 26 schools and completely modernizes three high schools and one grade school. It is a first step to the modernization of all Portland’s schools, which at the end will be safer, will meet the education needs of today, and will cost less money to operate and maintain. The energy savings alone will help make these schools more sustainable. The school district has also balanced out the safety and energy needs with maintaining the historic fabric that makes many of these schools beloved landmarks.